A frantic game of survival on a gnomish submarine. Hard times have hit the experimental gnomish submarine Red November. Everything on the sub is going wrong at once. Fires are burning, the sub is leaking, and critical systems keep failing. Help is on the way, but the gnomish sailors must hold out until the rescuers arrive. A crew of slightly tipsy gnomes tries to save a badly damaged submarine. There are 3 disaster tracks. If any of them reach the end of the track the submarine is destroyed and the players lose. The gnomes are allowed to move around the sub on their turn to fix problems. They can use tools picked up along the way. Dice rolls are used to determine if the fix works or not. 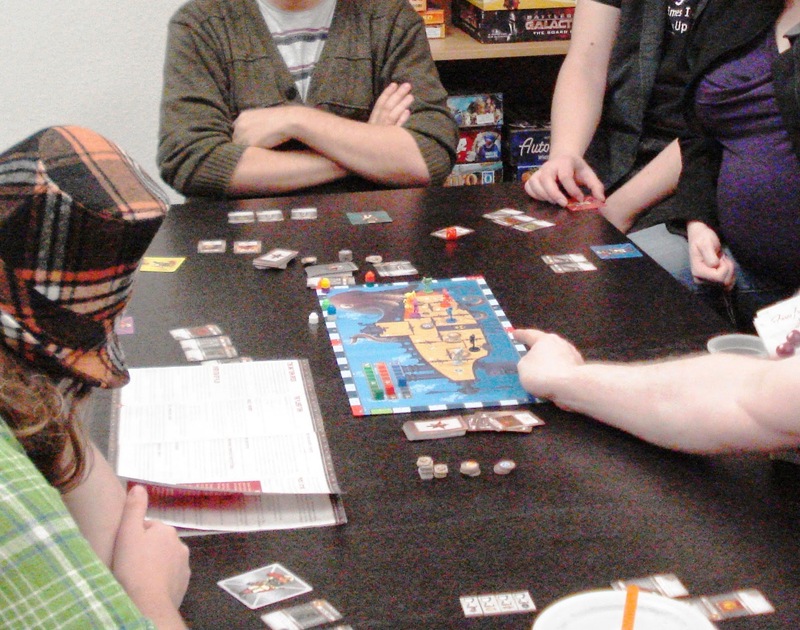 Players are confronted with fires, flooded rooms and blocked hatches. The element of time is also a problem. Each action takes minutes. If you run out of minutes you also lose the game. Player turns are not necessarily in order. Whoever is the farthest back on the time track goes next, even if they just had a turn. Gnomes have the option of exiting through an outer hatch to slay the draken when it comes into play or to enter the sub at a different hatch. There are many ways to lose a game of Red November, but only one way to win. 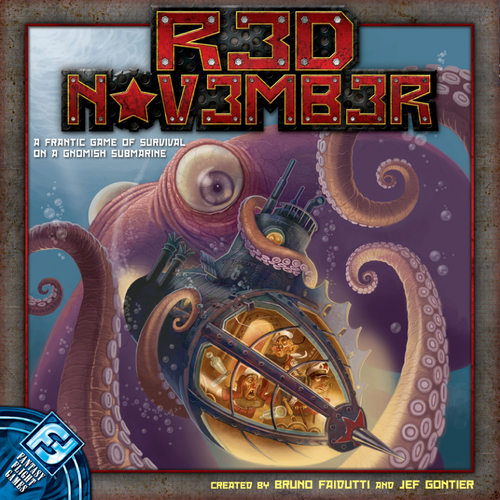 Red November is a cooperative race against the clock. We have an open copy of Red November available in our Demo Games Library for you come in and try.